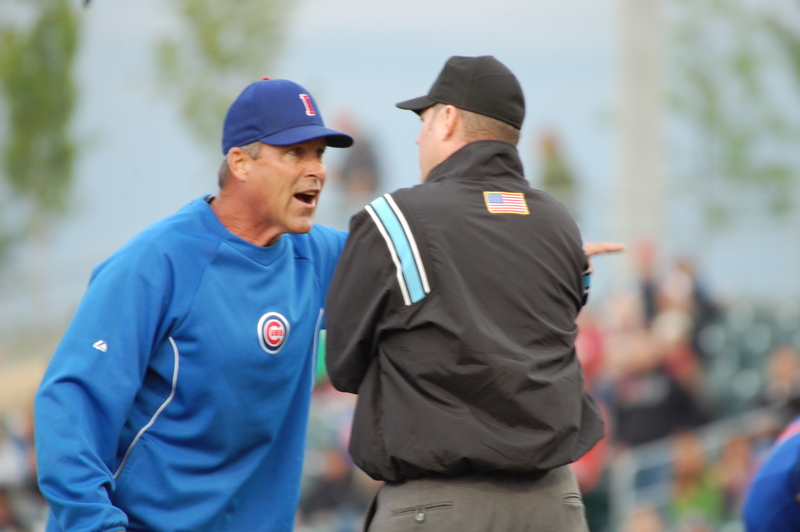 Iowa’s pitching coach Mike Mason was ejected in the 3rd for arguing a balk call. 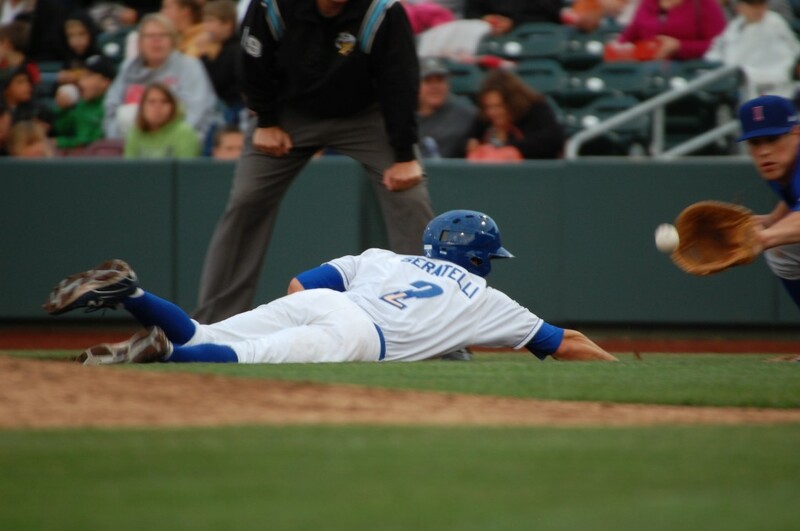 Here is Anthony Seratelli diving back into first on what turned out to be a balk that moved him to 2nd. The pitcher had to balk to make the play this close. Animated faces from Mason as he gets ejected. The funny thing is, it ended up not mattering whether Seratelli got to take second on the contested balk. He scored on a Wil Myers home run anyway. The homer was to dead center, and Myers said afterwards that he didn’t even get all of that ball. How many guys can hit homers to dead center of anywhere without actually making solid contact? Myers heading into the dugout after homering. Ryan Verdugo didn’t get the win* but he pitched well enough, racking up 6 Ks while walking just two in five innings. He did give up 2 runs, 1 on a home run. He ran into some trouble in the 6th, facing three batters without retiring anyone. Francisley Bueno bailed him out and went on to record two scoreless innings. *Jeremy Jeffress got a really stupid W. He blew the Chasers’ lead in the 8th by giving up a homer to Josh Vitters, but Omaha scored in the bottom of the 8th so the doubleyoo goes to Jeffress. Dumb. And now for some bullet points! I tweeted this earlier, but Myers will return to CF duty on approximately Monday. 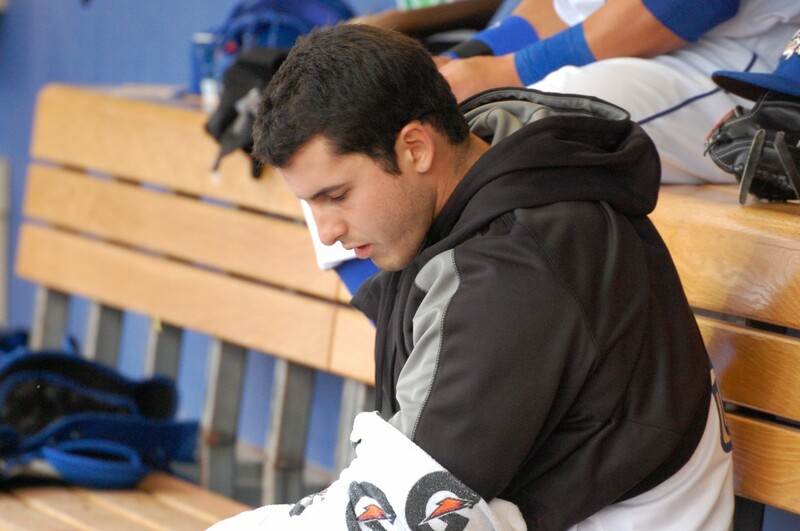 He has been suffering from some tendonitis in his right shoulder, but took a break from throwing for a few days. He has been back to throwing the past three days and feels fine, which is good because apparently DHing is boring. Kevin Kouzmanoff got two hits, including one that produced the game-winning RBI. With Irving Falu back tonight, and Johnny Giavotella likely to follow, it is starting look like my Kouzy might be the odd infielder out. It’s going to be a pretty crowded portion of the roster. Speaking of Falu being back, he arrived in the Omaha dugout in the early innings and greeted manager Mike Jirschele with a huge hug. Falu is just one of those cheery people who improves the moods of those around him, just by being in the vacinity. Outfielder Terry Evans cut his hair, which is a noticeable change because it used to look like this. Evans and Myers are now no longer hair-twins. Below is a picture of Ryan Verdugo, because I couldn’t figure out how to incorporate it earlier. 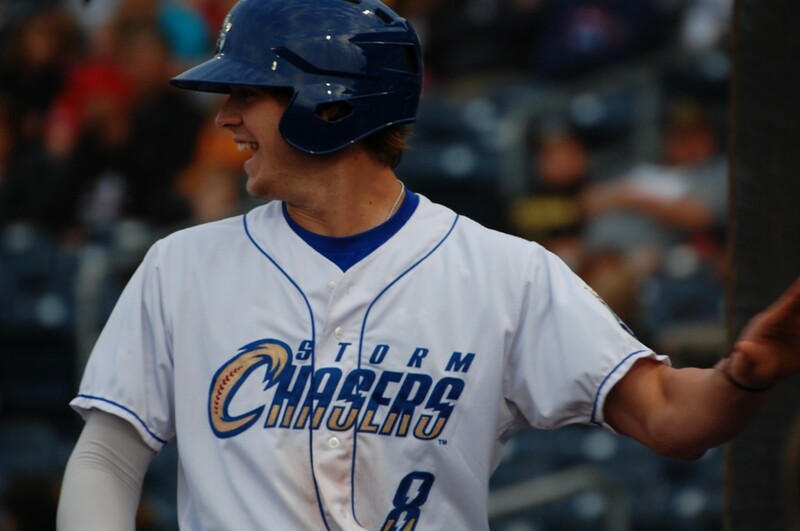 Good night from Werner Park, where the Storm Chasers improved their record to 33-23 and protected their 7-game lead over Iowa. Always love your coverage Minda! 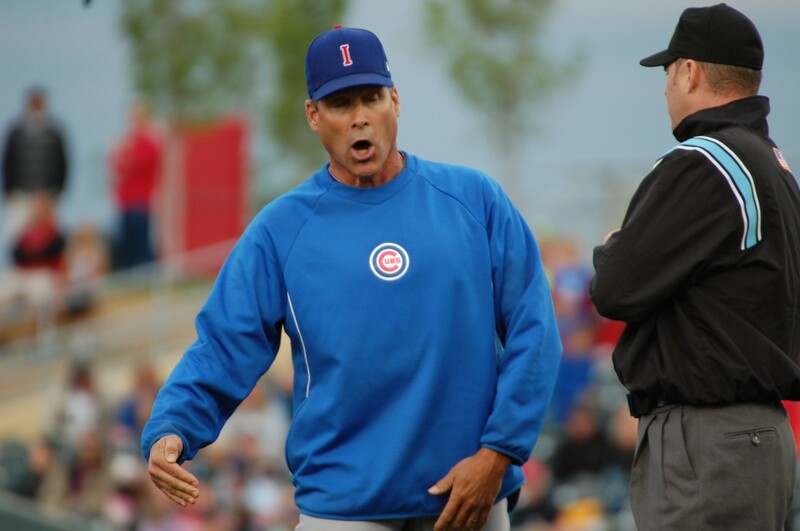 Just read in the Star that Ryan Verdugo was called up. The shuttle has been busy this season. HA!